The pupils of the preparatory courses of the ISSM "Puccini" in Gallarate, leaded by Andrea Cappellari, proposes a funny presentation of the new book of the series MaMeMiMo Musica. 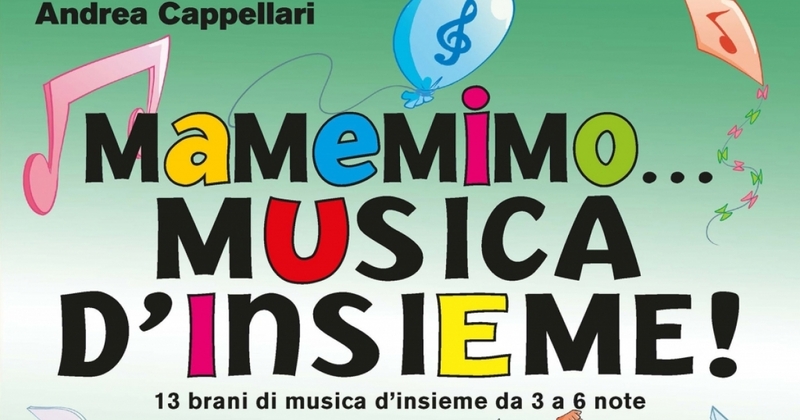 MaMeMiMo Musica is the new series, devoted to the very first group activities for kids. The series collect many pieces of group music, from 3 to 6 notes. An unmissable didactic tool to make kids approach group music and singing.